Sheri Moritz is, above all, a giver and a doer. She is the one who organizes fundraisers and puts together initiatives. This past Christmas, she coordinated thousands of dollars in gifts for teens at Duke Children’s hospital. These teens are often overlooked by well-wishers who like buying gifts for toddlers. She was the driving force behind the Journey Bags project, in which hundreds of backpacks were prepacked for children going into the foster system — a process in which kids often have mere minutes to collect their belongings in a trash bag on their way out of their home. This is something Sheri knows about firsthand. But last year, while coordinating these fundraisers, Sheri realized she was the one who needed help. In October 2016, Sheri discovered she had a congenital condition called Renal Nutcracker syndrome, which occurs when the left renal vein (the vein that carries blood purified by the left kidney) becomes compressed. A procedure she had undergone in April 2016 resulted in even more pain and now requires more extreme surgical intervention and care. But Sheri Moritz not only has to walk. She has to travel extensively to be seen by specialists and treated at the right facilities. And while she was a top producing agent with Next Home Team in Raleigh, NC, Sheri is now in the frightening position where her health issues prevent her from working — and providing for her family. Sheri Moritz shared her predicament on Facebook. 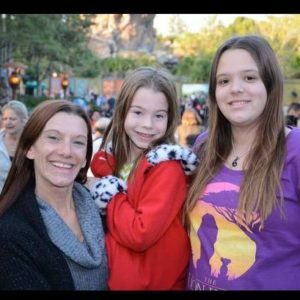 Her close friends wanted to help, so she created a GoFundMe page and those friends give what they can. And Sheri is deeply grateful for their love and their support. But an outsider can see that won’t be enough. 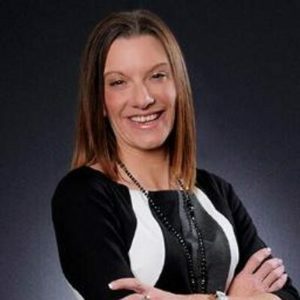 Sheri has been a real estate agent for 25 years and is the owner of Next Home Team, which is part of a Keller Williams office. And among her many Facebook contacts was one person who had also needed help once and received a KW Cares grant at her own time of need. This recipient decided to pay it forward and reached out to the program to see if they knew about Sheri and her dire situation. The KW Cares program is unique in the real estate world. It’s where the Keller Williams family takes care of its own. The public charity was created to support Keller Williams associates and their families with hardship as a result of a sudden emergency. And Sheri’s situation is nothing if not a hardship. Whether or not she receives a KW Cares grant, the groundswell of support Sheri has received from the Keller Williams community over the course of the last several weeks has been both astonishing and humbling. “Agents I’ve never met are worried about me and reaching out to me,” she said. That includes several former grant recipients, looking to help Sheri with her application. But asking for and accepting help doesn’t come naturally to a kid from the foster system. 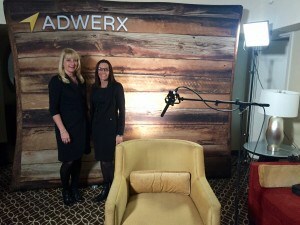 Sheri is a friend to the Adwerx family through her participation in our videos and connections through Inman. And her story is the reason we are donating 10% of all annual sales during the Keller Williams Family Reunion event to KW Cares. To help Sheri directly, visit her GoFundMe page. And for another way to support the KW Cares organization, come find us at KW Family Reunion in Booth #7014. Or visit kw.adwerx.com and purchase an annual campaign anytime from February 12 – 15, 2017.